Great job, I visit the dealer two times try to get a good deal, but it seem all work out because I purchase a vehicle. I needed to find a vehicle for my daughter who is away at college. She is a nursing student and will be driving 3 other girls with her to clinicals and I needed her to be in a safer vehicle than what she had. I had been searching for two weeks, back and forth between dealerships. I had spoken with several people at Salem County VW and never at anytime did I feel pressured to "make the deal today". After careful consideration and many questions, they earned my trust. Never once did I feel I was being mislead or lied to. Erika and everyone else I dealt with there were very patient with me and all my questions and concerns. I highly recommend this dealership to anyone looking for a vehicle whether it be new or certified pre-owned like I purchased. I can honestly say when it is time for me to find a vehicle for my youngest daughter, this will be the place I will buy it from. This is a place of excellence! Had a top notch experience with Bob Fischer! He went above and beyond to help me find the perfect car that fit my budget and my lifestyle. 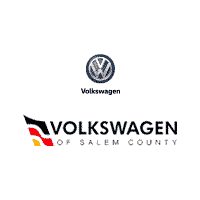 I had a few questions about my vehicle and called a different dealership that wasn't able to answer all of my questions, so I called VW of Salem County and spoke with Betsy who was extremely helpful. Not only was she able to get all of my questions answered, she was also very pleasant to deal with. If the rest of the staff is as helpful as she was, they have a new lifelong customer on their hands! Thanks Betsy, and thanks VW of Salem County! After having dealt with so many dealerships over the years, this was one of my best experiences. Betsy checked me in when I went to get service done. In the past, I have dealt with people that don't even acknowledge that there's a person they SHOULD be talking to. Betsy was pleasant and smiled, and it made me feel like I was more than a tagged key for service. Thank you Betsy! Great service, great staff! Thanks! Erika was amazing! The buying process was simple and quick. Erika, Tara and Joe provide excellent customer service and are very professional. I use VW Of Salem County for our Tiguan for service and wil continue now with our new Atlas and old Tiguan. thank you Erika for a great purchase experience! Answered all my questions, and even went the extra mile to earn my business! Great experience. Great communication, I asked a lot of pre-visit questions which were all answered by Tara promptly via email. I made an appointment to visit/test drive. Everything was ready when I arrived, car and price were all as advertised and whole transaction when smoothly. Nice people and knowledgeable people. I would definitely shop there again.